This friendship is a clash between two very strong characters who enjoy their time together but have a hard time coping with the differences. While the friendship between the Aries and the Taurus can bring many frustrations to both these people, they can also enjoy the many rewards of their connection, especially since the Taurus can really calm down the Aries in stressful moments. While the Aries is impulsive and makes decisions in the spur of a moment, the Taurus takes his or her time and wants to always think twice. If these two are open to overlook their differences, they can really be best friends. The Aries never looks before taking action, the Taurus weighs all the pros and cons of a situation, which means they can complement one another. The Aries can help the Taurus be more energetic, exciting and aware of good opportunities, while the Taurus can show the Aries how to appreciate work, friends and creativity. It’s suggested they allow one another to live in peace from time to time and that they never try to change each other. The Taurus gives a lot of importance to his or her friends and loved ones because he or she always takes care around new people and takes more time to get attached. Creatures of pleasure, all Taurians enjoy having fun and building up strong relationships with those they respect and care about. However, they expect a lot from their friends and they’re not interested in serving others if they’re not receiving anything in return. It can be said the Aries and the Taurus are very different people because they have opposite personalities and points of view. Therefore, if they’re friends and not able to have balance in their connection, they can’t enjoy their time together and may even miss a great chance for them to have a great friendship. It’s important that they understand their differences are at the same time complementing each other because this can bring them a lot of comfort and efficiency, especially when they’re best friends. The Aries can have wild ambitions, but the Taurus makes sure he or she keeps being realistic. In return, the former can help the latter be more spontaneous and less shy. This is the kind of balance these two need to attain when being pals, but it’s only possible if they’re both making efforts to understand each other. The Aries is a sign of masculinity, while the Taurus one of femininity. This is another thing that suggests they’re great at complementing one another and also what keeps them connected. The Aries belongs to the Fire element and is always looking to be in control, the Taurus is an Earth sign who craves stability. The fact that the Aries is very independent and the Taurus is too down-to-earth can cause a few problems to their friendship. It’s important the Aries reassures the Taurus the connection between them is strong because the latter needs all this. The more they’ll value each other, the more they’ll resist as friends. The Aries is known for making mistakes out of impulsiveness, while the Taurus is wise and always wants to do what’s best. This means they can help each other make the right decisions in life. What’s great about them two is that they’re both very intelligent and creative. The Aries will always like how the Taurus is financially independent and that he or she doesn’t need any help. As business associates, they may never fight or disagree on what to do next. Those who have a friend in the Taurus can consider themselves lucky because people in this sign are known as good money makers who can help others be the same as them. Furthermore, they’re always next to their friends and don’t mind playing the role of the protector. It’s normal to feel like around an older sibling when with a Taurus because he or she is very loving and giving. The fact that this sign is possessive and the Aries too free can bring a lot of trouble to the friendship between them. 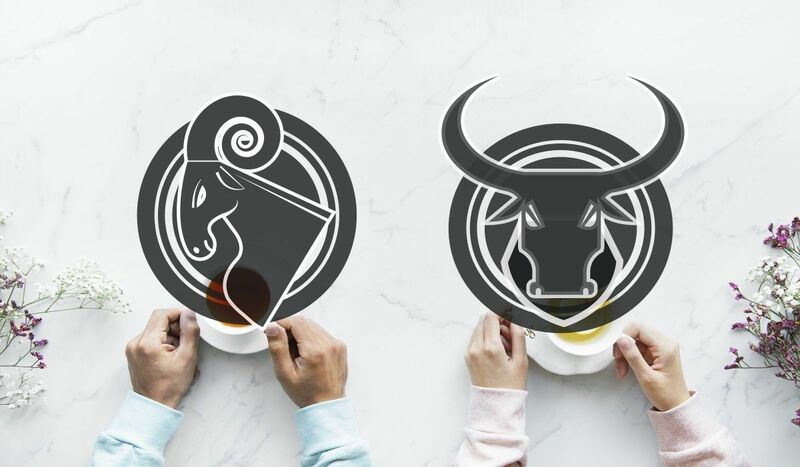 However, as soon as the Taurus will begin to trust the Aries and be more open about their connection, things are sure to become easier and their connection can take a direction that’s more interesting. All Taurians are considered amazing friends because they’re always paying attention to their loved ones and give valuable advice without judging. Very determined to succeed and oriented towards the materialistic side of life, they tend to judge people based on how much they’re making for a living. Furthermore, they’re just like the Aries because they’re looking for friends that can help them. While caring, Taurians can also be ruthless, especially when seeing weakness. However, many appreciate them for always being there and for offering a shoulder to cry on. People born in this sign never disappoint and usually appear when the situation is going down and their help is tremendously needed. With the Aries, the Taurus can help this native become more relaxed and able to think of solutions to problems in a more cerebral manner. Therefore, these two make great business partners, considering that with the help of the Taurus, the Aries can avoid making mistakes. Being an Earth sign, the Taurus is all the time methodical and composed, while the Fire Aries wants to do something exciting and to get into trouble. If these two will talk about their mistakes, they can learn great things from each other. Neither of them likes to deceive friends or to keep secrets from the ones they love. The more they’ll understand they have differences, the more respectful they can be with one another. After all, what makes them different can teach them great things and has a great importance in how they’re connecting. The patient and down-to-earth Taurus is very different from the impulsive and hasty Aries. However, things that are opposite in their characters make their friendship exciting and at the same time long-lasting. The Aries can find the practical Taurus a little bit intimidating, while the latter thinks their fun and challenging friend is truly intriguing. Because they’re sometimes opposing one another, these two can have a colorful friendship in which none of them is ever getting bored. It’s good for them to have a friend who doesn’t think the same as them, because this means they can never get bored together and that they can enjoy one another’s great ideas. While the Taurus may be shocked at the Aries’ suggestions, he or she won’t mind joining the Ram and doing some crazy things. These two will always make sure their connection is taking them somewhere and the Aries will keep things fun and vibrant. Being so different is what makes them unique and truly happy when best friends. The more they’ll decide balance is what should rule in their association, the more they’ll resist as companions. What’s being extremely negative about one of them is eliminated by the other, which means they truly have the ability of strengthening their friendship by appreciating one another’s positive traits. Furthermore, they can work for their differences to be something that helps them evolve. For this to happen, it’s important for them to realize they’re not the same and that their friendship combines many different shades that need to be kept at peace. It doesn’t matter if they’re not agreeing on the same things, what’s important is that they have complementing opinions. While the Aries is fast to talk and really expressive, the Taurus prefers to slow things down and to take every issue as it comes. Therefore, their conversations will be like a dance in which they’re both talking about interesting things and don’t mind saying what’s bothering them. It’s possible for these two to be friends forever because doing things together as a team helps them be even more compatible and happy.